Check out all the cool software. You can vote for the ones you like the best, or you can look at the lists for ideas. For instance, I've heard good things about "Remember the Milk" but it's been a while so I'm going to check that out. It's available for Google Calendar, offline use, Blackberry, Iphone, and probably more. Etsy is a web site where you can sell your, and buy others', cool handmade products. And I'd never heard of Kyte before but if you want to broadcast anything, check it out. As the song goes, that's what it's all about. "One person's trash is another's treasure, and this weekend open source vendors and community members plan to join forces with a Northern Californian recycling organization to transform hundreds of desktop and laptops into PCs loaded with Ubuntu, Firefox, OpenOffice and more to be donated to needy area schools. Untangle, an open source application software maker, joined forces with the Alameda County Computer Resource Center, or ACCRC, to first take in and then turn around hundreds of computers loaded with software for local schools." Some are online tools like salary.com, some are tax tools for making estimated payments, some help you figure out whether it makes sense for one spouse to stay at home, etc. Check it out; it's a very nice list of specific, common things you need to figure out. I don't know how or why, but they're fabulous applications and they're free. If you do anything with video or screen capture and you don't have them already, get'em now. Thanks to Miguel and his original source Leonard for the references. Educators, this is for you! The first K-12 Open Minds (open source software) conference is October 9-11, 2007 in Indianapolis, Indiana. The first K-12 Open Minds conference is going to be held October 9 - 11, 2007, in Indianapolis, Indiana. The kick-off reception is Tuesday, the 9th, with the regular conference sessions on Wednesday and Thursday, the 10th & 11th. The Open Minds Conference is the first national K-12 gathering for teachers, technicians and educational leaders to share and explore the benefits of open source in education. Virtual Learning Environments that provide 24X7 access to teaching and learning resources, cutting-edge and easy-to-use desktop applications, coupled with powerful management tools and low-cost computer strategies make the classroom of tomorrow available today! Schools around the United States and the world are discovering the the benefits of open source software. In Indiana alone, over 100,000 students use open source software every day. Not only does open source save money, it allows schools to extend the benefits of technology more broadly, affording a better education to students. I think this is the must-attend event of the year relating to Free and Open Source Software in K-12 education. There are currently over 55 planned conference sessions, covering a the use of Linux and Open Source use in classroom, teaching, technical, and leadership aspects. The individual registration fee is $100, or $89 each for groups of three or more. Register on the website or call Anthony Yanez, Registration Coordinator, at 800.940.6039, extension 1348. Compared to other conferences I've been to, this is a huge bargain. This is a great opportunity to really find out how much you can benefit, and how much money you can save, by using open source software. And of course to learn enormous amounts about using the software. Get the latest issue of Free Software Magazine here! I have an article on templates in the next issue. 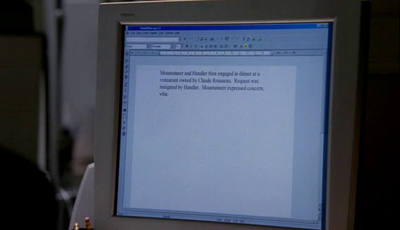 Who Knew "Desperate Housewives" and "Alias" Were Linux Fans? Karim sent me links to these dandy screen shots. 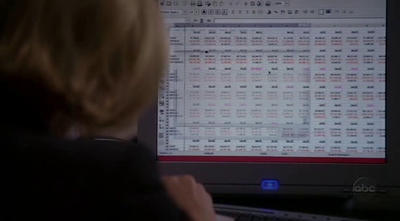 Yes, the glamorous soap opera "Desperate Housewives" uses Linux and OpenOffice.org when they shoot computer screens. Click each to see it bigger. Ben Horst continues to hit the virtual bricks and get coverage of his effort to make sure everyone knows about OpenOffice.org. Every time I look around, someone's asking me "did you know about this?" Including people not in the OpenOffice world. A group of grassroots activists in the OpenOffice.org community have just announced they are going to undertake a similar media campaign to Spread Firefox, starting with a free (as in beer) New York City daily newspaper called "The Metro," published by Metro International. Most penguinistas know what a huge success the grassroots Spread Firefox ad campaign was. Through ads in the New York Times and the Frankfurt General Newspaper, and the hilarious Firefox videos on the FunnyFox website (video link here), Firefox has probably gained greater popular name brand recognition in the general public than any other free open source software (FOSS) project. Read more. Or click here to contribute. It's not just sending out emails to everyone he knows, though--other efforts have failed. As the Factory City blog notes, "It’s interesting to see this effort emerge organically — especially after the initial thrust to create a SpreadOpenOffice project fashioned after Spread Firefox died on the vine owing to internal struggles over branding control. 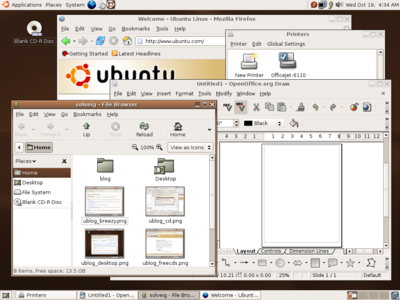 A similar project SpreadKDE made it out of the gate, but it’s unclear whether it ever took off." Ben's currently about 75% of the way to his goal. I'm amazed at how well Ben's spreading the news. We met at Comdex 2003 and I was impressed then with his technical knowledge, his ability to learn the Las Vegas bus system. I was impressed at how such a clean-cut, nice guy could look so scary in an Army Surplus outfit, which was extremely effective in keeping people from bugging us on our way through some of the more alarming Las Vegas neighborhoods. ;> But I didn't know he could get people's attention like this. Ben, I'm tellin' ya, when you get done with this ad, do the same thing in Chicago. That's all it'll take to get Oprah to do that show I'm always fantasizing about where she gives away a free Linux laptop to everyone in the audience. This is another story about change, and tangentially a story about Stevie Nicks. I’ve already mentioned Louis, who when switching to OpenOffice.org from Microsoft Office, simply told his users that there would be a big upgrade. No mention of a different office suite program. ;> I love that story. Here’s another story from the other side of the country. The school district’s latest levy had failed, so they had to cut a couple hundred thousand dollars from the budget. Naturally, there was a big meeting to talk about how to do this. The school district IT director, Randy, was taking notes during the meeting, and his notes were being projected for everyone to see. Murmurmurmur…general objections…too hard…too different….it would never work. Wow! No way! 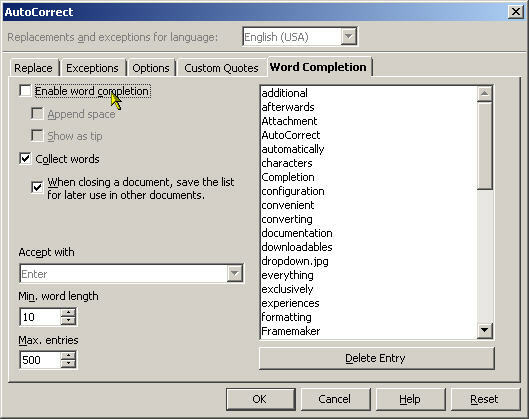 But it’s so much like Word! Randy continued. “And you know what? For the last two years, you’ve been receiving Word, Excel, and Powerpoint documents from me that I created in OpenOffice.org and saved in Microsoft Office format." More murmuring, surprise, delight, etc. And so they voted overwhelmingly to switch to OpenOffice.org and save a pantsload of money. This is, by the way, took place recently in the Seattle area, in Microsoft’s back yard. It's yet another story showing that Change itself, uppercase, is often what we primarily fear; not the actual new thing that’s going to happen. As the song goes, I've been afraid of changin' cuz I built my life (and my complex mail merges and spreadsheets) around you. Try leading with the product, not with the idea of the product, or with Change. 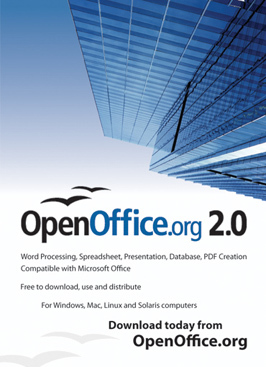 Click here for additional tips on migrating users to OpenOffice.org, and click here for thoughts on how to make it easier for people to want to switch. Office suite software isn't really all that important. What's important is pretty much anything else. What your organization is doing: research, services, saving lives, preserving order, education. Preserving the rain forest. Rebuilding New Orleans. Job retraining. Heck, you could argue that a good pumpkin pie is essentially more important than software. 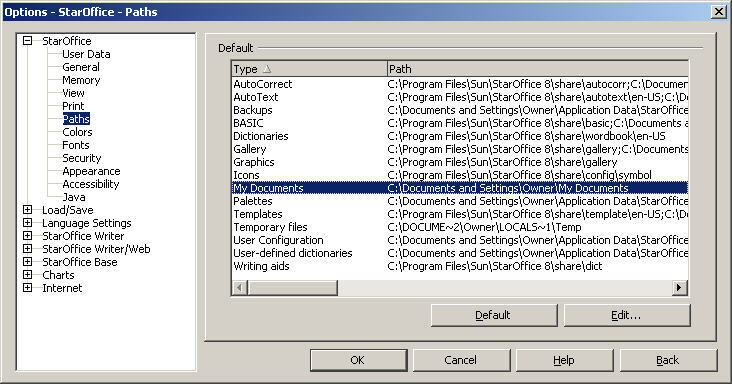 OK, the office suite software helps you do all those things I listed and a million more. But I want to point out that our goal in our eight hours a day is not to use software. It's everything else. All right. So now think about this. Other office suites are not. You switch to OpenOffice.org, and you or your organization is suddenly not spending $500, or $50,000, or $5 million on your office suite licenses. Add up all the other people or organizations who are no longer spending that money on an office suite, and suddenly we're into some serious cash. Think about how much your city police force spends on office suite software, and about how that money could probably do some good if it were spent on, say, salaries for additional police. Think about what that research facility down the road spends on software. Compared to the money they spend for their equipment, maybe not much, but it's money probably better spent on upping the salaries for a few poor post-docs than on office suite software. Think about how much money the federal government spends on office suite software. Now fantasize about how you would redirect that money if you were in charge. Amazon saved $17 million when they switched to Linux. Same principle--pay less for something that's not part of your core business. Think about how much your state spends on office suite software for schools, and how many more teachers and books that money could buy. 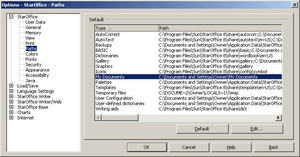 Education is one of the most important places to think about OpenOffice.org. Education is, to put it mildly, important. Plus, third graders aren't likely to complain that they're used to how Word does styles and they don't want to switch. They're open to anything new. And education isn't exactly overfunded. I live in Colorado which is either 49th or 47th in the nation in funding for education. For educators, here's an interesting article on trends this year, including OpenOffice.org. For anyone thinking about upgrading to Vista, here's an important blog. Dave Rosenberg states that Vista gives you an opportunity to really compare the actual cost and the actual benefits, and he quotes Jon Oltsik from Enterprise Strategy Group." So just think about the value. Think about how much money you're spending on your office suite, and what you could do with that money that would be more important. Check'em out! Very pretty stuff. "Open Source Templates was mainly created to support non-profit organizations. If you run a non profit org, and are needing to cut down on the costs associated with website development than you have come to the right place. We offer a wide range of free for personal use or non profit use website templates that are easy to modify and add content to. We will be offering a wide range of tutorials dedicated to helping your organization easily download and create your own great looking site in a matter of hours." "To put it simply, Open Source Web Design is a collection of web designs submitted by the community that anyone can download free of charge! 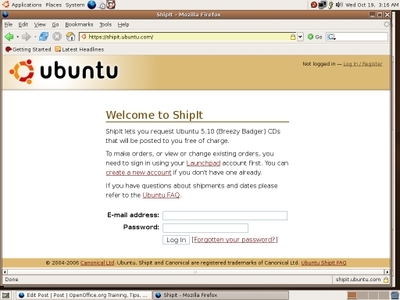 The Open Source Web Design project was founded in September, 2000 by Francis J. Skettino. The goal was to provide the Open Source community with quality web designs to help get people's projects on the web in a way that is both organized and good looking. From personal blogs to content managements systems to full fledged businesses, OSWD has been providing free web designs to those who need them for years. With your help, we will continue to do this for years to come. " I've written an article for TechTarget on the new Google spreadsheets. Here's part of it. "My first reaction was, "Oh, cute," and "Looks like a good design." It seems like the GUI designers stood up inside the box and looked at what was outside. The design is not revolutionary, but it avoids, at the least, a retread of the client-based spreadsheet GUI. The designers used different types of widgets to provide the navigation and options. There are three tabs for different types of functions: drop down buttons for key features like Saving, buttons for standard toolbar features (Cut, Copy and Paste) and a few plain old links for common features like New and Open." Essentially, I think it's great for some, and others will never take a second look. Click here to read the whole review. I came across this post by Jon Udell via Ted Leung. Essentially, the gist is that open source projects offer a tremendous opportunity. "Open source software development, to a degree unmatched by any other modern profession, offers apprentices the opportunity to watch journeymen and masters at work, to interact with them, and to learn how they think, work, succeed, and fail. Transparency and accountability govern not only the production of source code but also the companion processes of design, specification, testing, maintenance, and evaluation." I'm so glad Jon wrote this, since it raises a great point about open source that's entirely unrelated to the topic of how and when and why to use the programs. It's a point I've carried around in my mental model for years. Open source projects are a wonderful place for anyone to get experience about what they like to do; get experience so that potential employers will give them a second glance; and get experience so that they will actually learn to do those tasks well. I listen to the This I Believe series on NPR, and if I were ever asked to do an essay on something that I believe very strongly, it would be this point about experience. 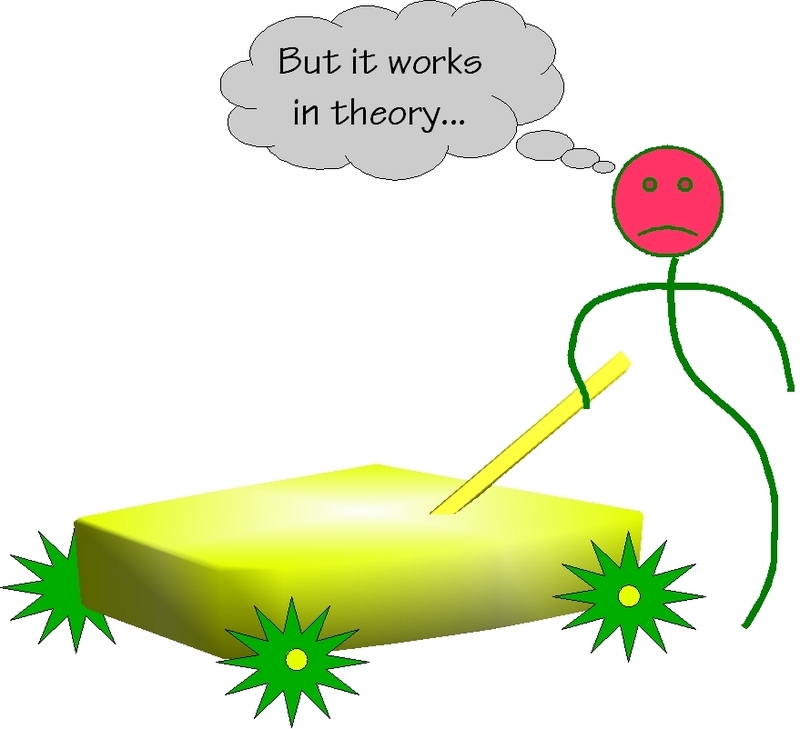 Theory is squat until you try it out. Like the people on What Not to Wear say, try it on! Or like your mom says, eat one bite of your Brussels sprouts. Your roommate says, just go to the party for an hour. Just, as the Nike folks, do it, and see what happens. Doing is an entirely different thing than thinking about stuff. Another angle on experience is its role in getting hired. Let's say you know you love project management. That is an absolute certainty. How do you get a job doing project management, on the strength of your business and communications double major and your role as a counselor at Camp Kickamonga? And then there's the third item, actually learning to do something well. The reason that people look for experience when they hire. How do you find your Obi-Wan who will teach you how to herd cats, or have your horrible but incredibly valuable disastrous learning experience? How do you learn to do basic stuff like write courteous, direct, concise emails? OK...how the heck do you get experience? I dug up unpaid internships during college. If your parents are in the same profession, that doesn't hurt. Volunteering is good. If you want to have experience with project management, figure out something in that genre to do for free for Habitat for Humanity or the animal shelter. Help to organize a blood drive. If you want to become a techwriter, I'm sure there are a zillion places that will be happy for you to document their processes. Or there's open source projects, which are always ready for more hands and have a huge variety of tasks. It's not just for programmers. Writers, project managers, fundraising, advertising and marketing, web design, maybe even accounting--that's just off the top of my head. So for anyone out there who's read What Should I Do With My Life and wants to try out a few things, any parent who's got a 23-year-old college graduate slacker in the basement, or anyone of any age who wants to get experience and the advantages it brings, find an open source project. 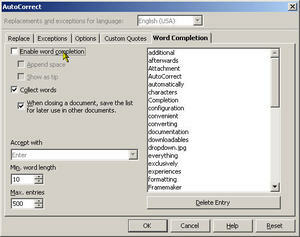 I won't even try to list them all, but OpenOffice.org is a wonderful product with a great bunch of volunteers. 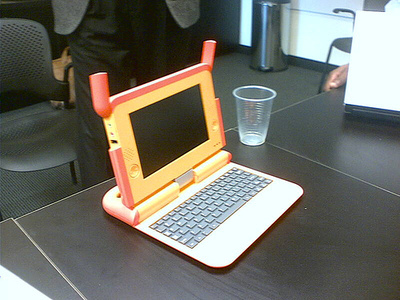 Pledge to Buy Your Very Own $100 Laptop From MIT! Pictures Too! It's so cute! And it's closer to being available! You can pledge to buy one for $300. That means you get one, and two needy children each get one, too. I've just pledged. Here's the text. "I will purchase the $100 laptop at $300 but only if 100,000 other will too." Here's an interesting article on what's going to happen with Google, Writely, OpenOffice, Vista, MS Office, and the rest of the gang. The hook is the latest announcement from Google, the Google Calendar. The options for online office suite applications, rather than those you need to install on your computer, are opening up. I've blogged about AjaxWrite, and of course most people have heard of Writely. Shawn posts about NumSum, for online spreadsheets, and a commenter on his blog mentions EditGrid. 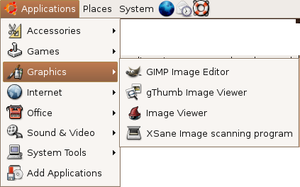 There's also Thumbstacks, an online presentation tool. Morbidly Thoughtful mentions ZohoWriter. Arvind wrote to me to mention that they also have ZohoSheet, an online spreadsheet. They have many other products; see them listed at http://blogs.zoho.com/. Go to this post to learn more about the spreadsheet product. This is all great. As Shawn says, now individuals and cities can spend money on good internet, and skip the hundreds for Microsoft Office. It's all about having the option to spend your money on what's actually important. I'm not actually all that into the social bookmarking thing--the tiny little Luddite/pencil person in me resists techy overhead. However, I've been getting a ton of views lately directly from the Stumbleupon.com site so I decided it bore some more investigating. (Thanks y'all, by the way. ;> ) I had gone before but didn't see an easy way to go to content and just skipped it. Here's the Stumbleupon main page statement. "StumbleUpon uses / ratings to form collaborative opinions on website quality. When you stumble, you will only see pages which friends and like–minded stumblers have liked." So I bumbled around, figured out how to do it (not quickly). It's a little different, you have to actually install a browser plugin (anything from Mozilla, aka Netscape and Firefox). You also have to create an ID but you just have to (I believe) click the link to create an ID and it creates one for you, bang. To install the toolbar, don't download the file and try to install it; just click on the link at this URL. The toolbar looks like this in your browser once it's installed. Click the picture to see a larger version. You can search in the search field, or you can just click the far-left "Stumble!" button to be sent to any site you like. Click the button and you'll get a window where you can choose categories. After that clicking Stumble will just take you from one very interesting and/or useful site to another. I chose Science/Tech as the category and was taken to the OpenOffice.org site, a few others, and then to GnuCash. It says "Designed to be easy to use, yet powerful and flexible, GnuCash allows you to track bank accounts, stocks, income and expenses." I hadn't seen, or remembered seeing, such a practical open source product like this, so I thought it was worth noting here. Anyway, back to Stumbleupon. However you get to a site, you can click the Reviews of This Page icon and see what other Stumblers thought of it. And of course you can click the Thumbs Up or Thumbs Down site to vote on it. I haven't used all the icons on the toolbar, but I was impressed with what StumbleUpon showed me. If you're into this kind of thing, give it a try; if you're not, then try it anyway the next time you're on hold, or between hands playing online poker. It's not the easiest interface to find your way around in (their web site), but the results are useful. It's like a John Lennon song. "Imagine all the people....living without any Microsoft products...." And not just a few people. About 330,000 people. Additional people. IBM has canceled their contract with Microsoft. They will be using RedHat for the operating system and their own riff on OpenOffice.org for their office suite. Here's an article on it, and related sites on the Windows Vista Weblog and Groklaw. Update April 15th: Read an interview with the project founder Jason Hudson by Marshall Kirkpatrick. Jason Hudson is the Technical Product Manager for the Shuttleworth Foundation and founder of the Freedom Toaster project. Also note a reference in the interview to the Go-Open Source Portal. It has many resources, plus an actual phone line for support and comments. This is sooooooo cool! Move over, $100 laptop! And how did I miss this? Blogs started last year. 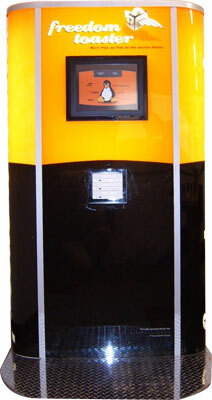 According to the founder, "The Freedom Toaster is a free vending machine/kiosk that dispenses open source software burned to CD or DVD in locations throughout South Africa." "The Freedom Toaster project was started in 2004 by the Shuttleworth Foundation as a way to overcome these problems. Freedom Toasters are conveniently located, self-contained, computer-based, 'Bring 'n Burn' facilities. Like vending machines, preloaded to dispense confectionery, Freedom Toasters are preloaded to dispense free digital products (e.g. 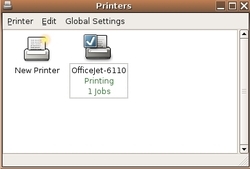 Linux Operating Systems and the OpenOffice.org office suite Toaster Software)." Here's where they are currently located. Want one near you? Click here. Now THIS is crossing the digital divide. Here is an enormous list of free and open source programs for Windows. IrfanView 3.98 -- great for viewing and batch converting your digital photos and much more. GMail Drive 1.0.9 GMail Drive creates a virtual filesystem on top of your Google Gmail account and enables you to save and retrieve files stored on your Gmail account directly from inside Windows Explorer, and thus use your Gmail account as a file storage medium. CDex CD ripping and audio encoding software. Oh, heck, it's all notable. ;> Just wanted to give a quick overview of some items since it's a long list. If you have something to add, you can add it to the list.